It was a small gathering on a cold winter night. Just over 100 people stood in Dupont Circle to recite poems, light candles and chant slogans in Urdu that few passersby would understand. “Pakistan Zindabad, Taliban Murdabad,” they repeated. Long life to Pakistan, death to the Taliban. 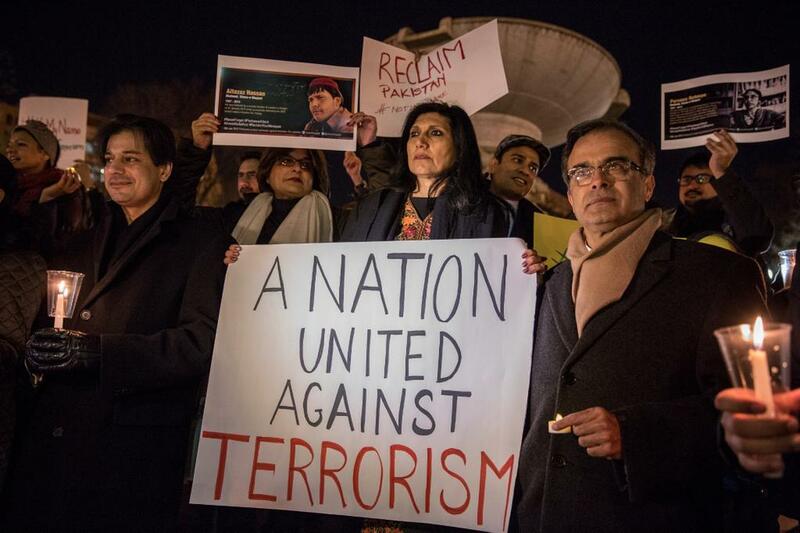 But the modest event, held in the District in response to the terrorist slaughter of 148 students and teachers at a school in Pakistan, marked a sea change in the nation’s large, mostly middle-class Pakistani American population. 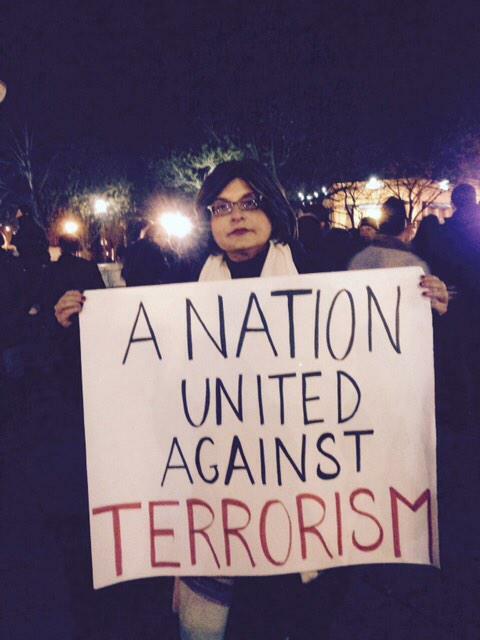 Similar vigils were held by Pakistanis in Boston, Houston, Los Angeles and other cities. After decades of watching and worrying about developments in their troubled Muslim homeland, thousands of Pakistanis across the United States — propelled by a network of young professionals adept at using social media — are joining a nascent international campaign to fight the threat of violent Islamist extremism in Pakistan and beyond. The turning point was the Dec. 16 siege on an army-run school in Peshawar, carried out by a brutal Islamist militia, which outraged the world and shook Pakistani society to the core. It came just a week after Pakistani teenager Malala Yousafzai, who survived being shot by the Taliban for promoting girls’ education, was awarded the Nobel Peace Prize. The effort goes beyond rallies and petitions. One ex-pat group is raising funds to start 141 schools in Pakistan, each named after a victim of the siege at the school in Peshawar. Psychologists with expertise in post-traumatic stress disorder offered to help counsel survivors. Some activists are pushing for Congress to cut off aid unless Pakistani authorities crack down on Islamist militant groups. Abdullah Jafari, a retired Pakistani airline employee in Houston, works with a foundation that has established several hundred private schools in Pakistan. Their curriculum, he said, is designed to counter years of Islamist rhetoric in public school texts that has influenced a generation of young Pakistanis. 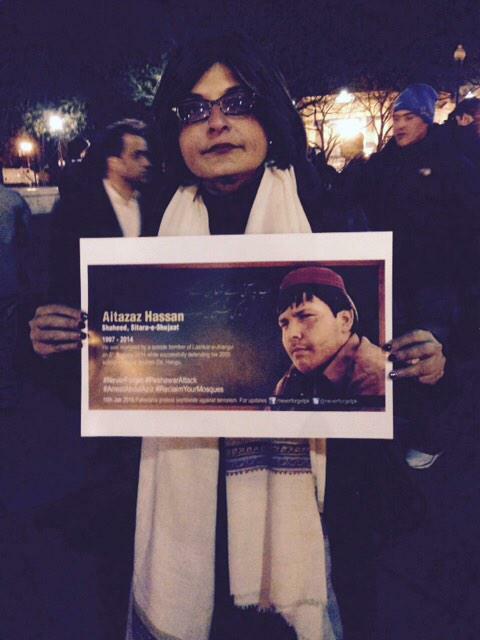 Vigil in DC to pay tribute to the little children killed by inhuman Taliban in Peshawar Public School Attack.